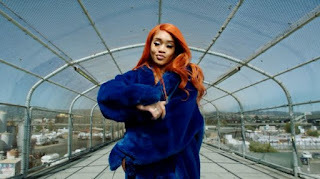 Sawettie and London On Da Track released “Up Now” featuring G-Eazy and Rich The Kid last week and now everyone connects once again in the official music video for their collaboration. “Up Now” serves as the first single from Saweetie’s upcoming debut album, the follow up to her High Maintenance EP. Watch the Mike Ho-directed clip shot at Oakland-Alameda County Coliseum in Saweetie’s hometown below.